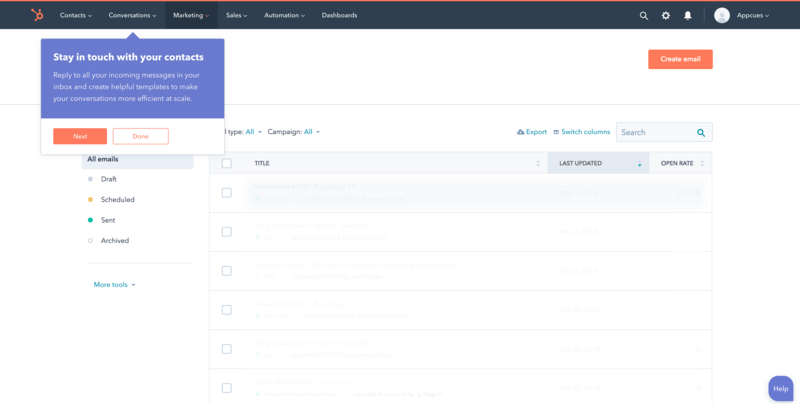 HubSpot is both an inbound marketing tool and a sales tool. 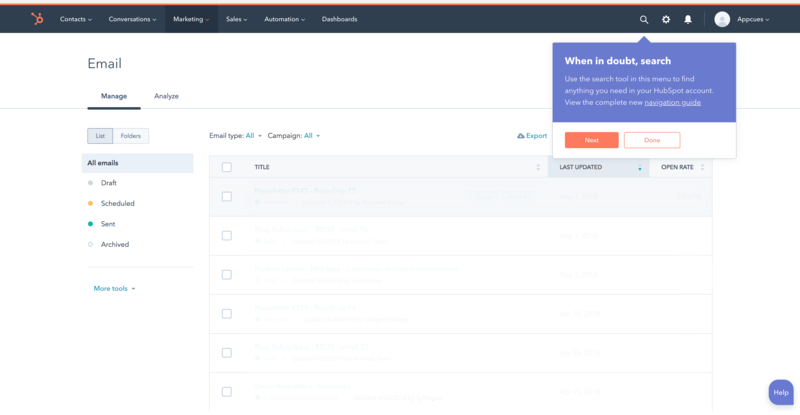 These two sides of HubSpot are offered separately but can be integrated together for a more powerful and easier workflow. When subscribed to both, you can do everything from blogging and SEO to customer relationship management and analytics. The tool has been at the top of its game since its launch in 2006, and the key to this has been its constant evolution. Tweaks, updates, and big releases ensure HubSpot has kept their customers happy for the long haul. Because HubSpot is in constant motion, they need to keep their customers in the loop. They do this frequently with new feature modals and tooltips to ensure all their customers can make the most of the tool's capabilities. The modal notification is personal and informal, which makes it much more tolerable from a user perspective than a stark “new feature” pop-up. 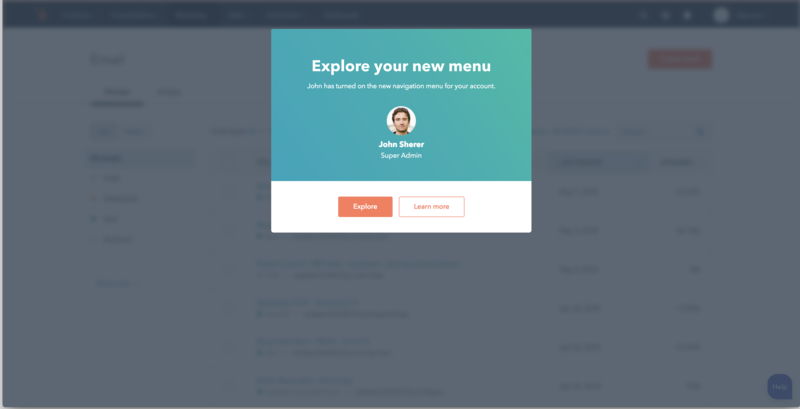 The copy reads “your new menu” and “John has turned on the new navigation menu for your account.” It treats the user as an individual, which makes it much more engaging. Using a human face to start the announcement is a smart strategy to elicit a positive emotional response. First, eye-tracking studies have shown it's almost impossible to ignore a face, and, second, a human face is a quick way to establish trust and authority. This method grabs the user's attention and adds credibility to the new feature notification.